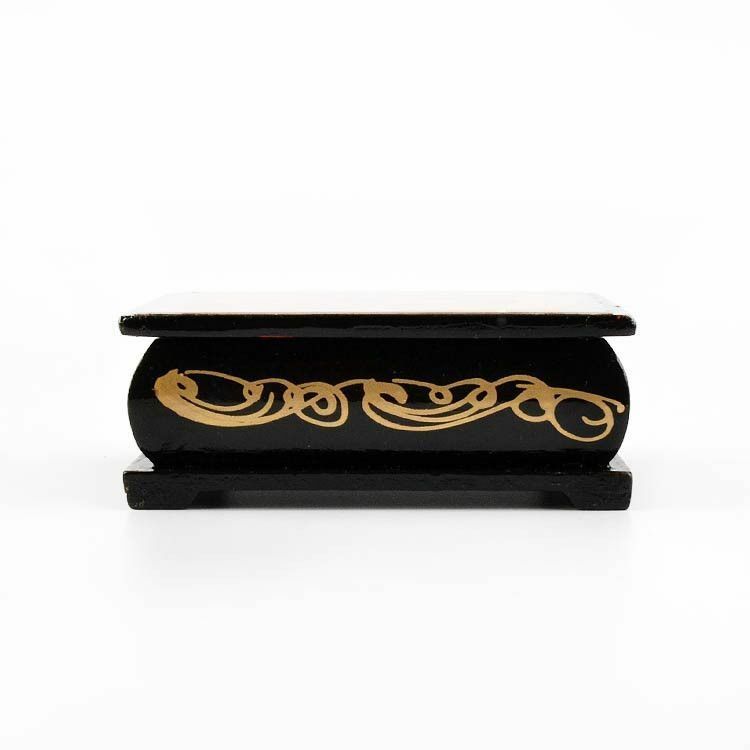 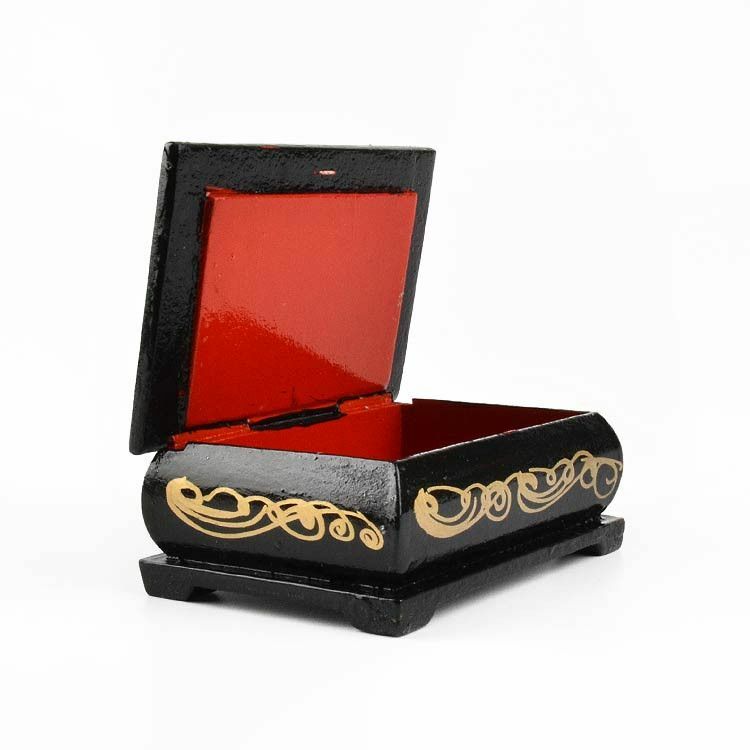 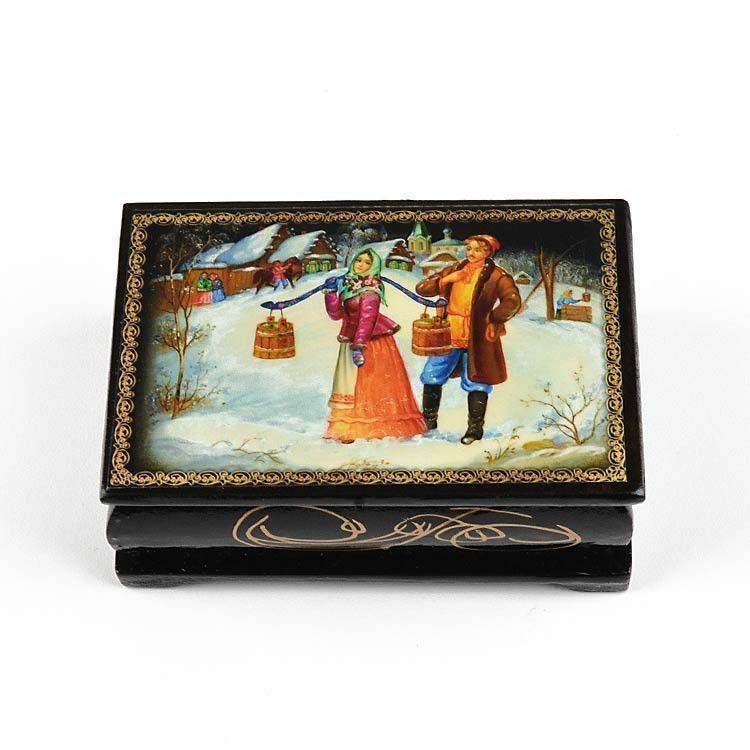 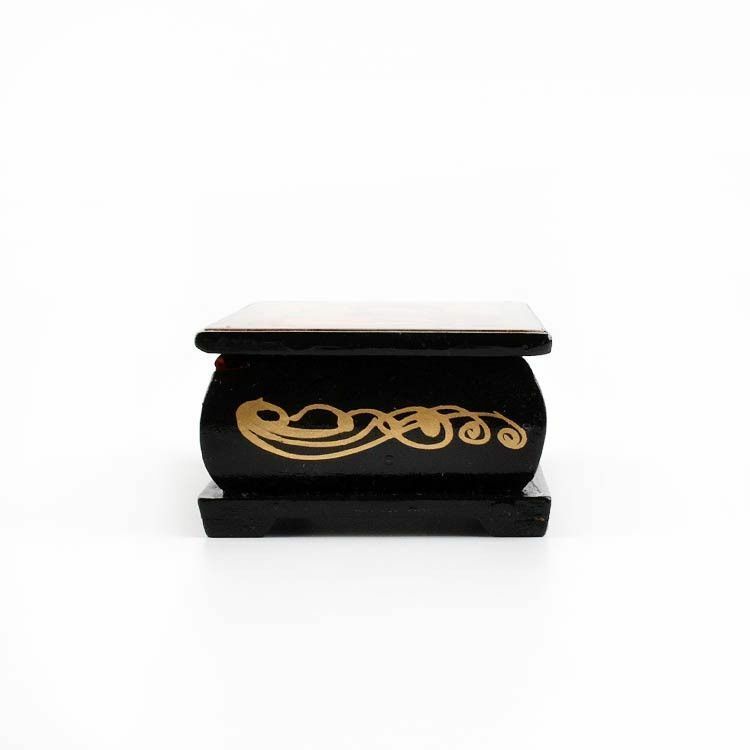 This is a small, affordable lacquer box from Russia. 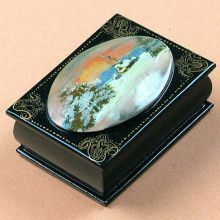 It is not actually painted on (like the expensive lacquer boxes), but is decoupaged on wood (and still beautiful to look at). 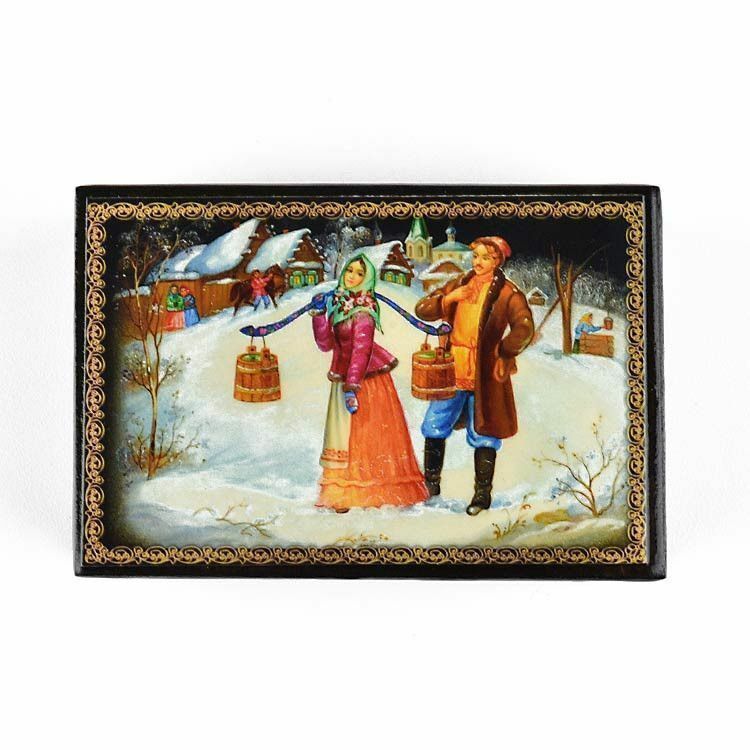 Features a popular Russian scene in Winter. 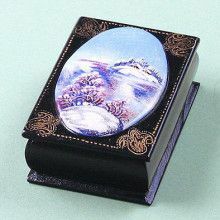 About 3 1/2" x 2 1/2" x 1 1/2" in size; great for small jewelries or other tiny mementos.